Excellent Homily for the Twenty-First Sunday in Ordinary Time! We just got home from weekly Confession and what do I find to read? Fr. Daren's excellent Homily for tomorrow. Yet, please read it today! 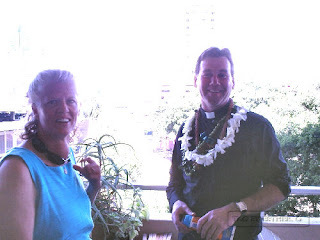 A photo of my friend Lois and Fr. Grace upon arrival at our home. Father Grace almost always wears his clericals in public. The only exceptions are when playing tennis or surfing. At these recreation times he wears a T-shirt with our Lady of Guadalupe boldly printed on the front. When he goes surfing, he continues to wear his Brown Scapular (tucked of course beneath his swim shirt). He says he can evangelize that way. More on that later. Father told us two stories that I would like to share with you. I believe I told him I would be sharing these on my blog. One was when was going to or from the World Youth Day in Toronto. A man dressed in casual wear approached and greeted him. "G'day Father, I'm Archbishop ________". Father responded, "Oh, Your Lord, I didn't recognize you". A little while later, an airport security personnel approached Father Grace and said "Father, you don't have to wait on line, just follow me". The archbishop got the message. Second incident was when two young surfer dudes approached Father and asked him where they could get vested up. Father retorted "You're priests?" "How did you know I was a priest"? Again, they got the message. Interestingly, my friend in the photo is on a one woman campaign to tell our priests just how important it is for children to see our priests dressed as priests. What she is doing is talking to them privately and what we should do everyday, , is to pray for our priests. I remember when my sister was a sister. She belonged to a conservative order of sisters who dressed in full habit. People everywhere would treat her with such respect! They would greet her with such joy. They wouldn't let her pay for anything in stores. They would ask her to pray for them. It seems an easy way for our religious to evangelize, yet so important! So, how can we help? Again, pray for our priests and religious, and don't criticize. Fr. 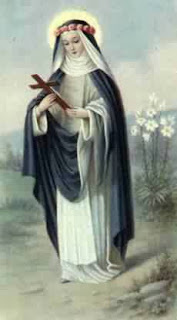 Andrew Grace has such a love for our blessed Mother. He is a true Marian priest. Picture this: A car full of kids and two moms and a priest dressed for surfing, piling out when we arrived at the beach. The first thing Fr. Grace did was to call us all over to him and he started the recitation of the Angelus, right there in the parking lot, with people all around us. The next day at noon, he related a story about how a girl asked one of the visionaries (from Medjugorje I believe) to greet our Lady for her. The visionary told her that our Lady said that the best way to greet her was through the Angelus and it is with that prayer that our Lady greets us back. Founded tortured and dead in his residence, Father Richard Junius Sander is now the apple of discord between Catholics and their detractors in Mexico. A much-loved pastor and television personality is victim of Mexican media rumors. Sorry I am so late in posting this. First it was the picture Karen selected for this saint's feast day that caught my attention. Then on the same post, she introduced her readers to a wonderful new blog Shoved to Them. But it was her description of the occupation, that makes me want to compete with her for the job. I guess if the Vatican ever posts a want ad for the job, Karen has dibs. Oh, BTW, The Mom has her sights set on the second coolest Vatican job...just check out Karen's comments. Fr. Stephanos' post: The agenda of gender-inclusivity can cause stupid translations. 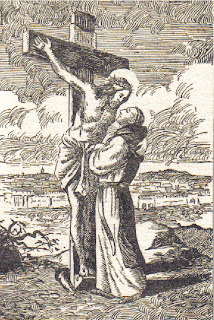 Suffering repulses the human being,but when it is welcomed with love because of faith,it becomes a precious occasion to be united in a mysterious way with Christ the redeemer, who, on the cross, took on the death and all of the pain of humanity. 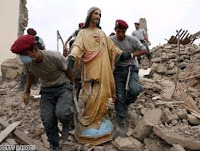 As Pope Benedict's personal envoy Cardinal Tarcisio Bertone prepares to visit earthquake-devastated Peru, sobbing survivors are drawing hope from statues of Jesus and the saints that "miraculously" survived the destruction. 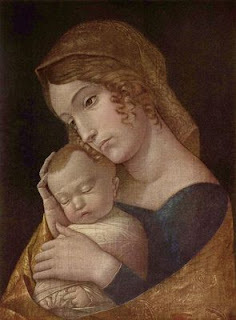 Most Sacred Heart of Jesus, parenthood is, I realize, a sacred trust. Let me not be neglectful of my duty. I know that proper religious education is all important and that without it, all other learning is of little worth. I appreciate, too, that it is a serious and grave obligation for Catholic parents to strive generously and perseveringly to obtain a good Catholic education for their children. Let me generously and bravely strive to obtain for them the religious education which You desire. May I remember that I shall have to give an account to You for every soul entrusted to me. Remembering this, may I generously fulfill that most important duty of any parent, to provide the proper spiritual instruction for their children. 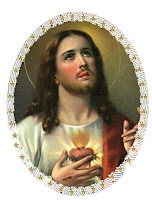 Heart of Jesus, Fountain of all knowledge, have mercy on us. Let's live intimately united with Him,since one who loves tends to be united with the one loved. The fusing of two souls is done through love. Just a quick note on this topic. Fr. Grace was here for an all too brief stopover on his way to the Marian Conference. But our personal chats were jammed back with lots of good spiritual talks. He said that we get up, we should be determined to fast every Friday on something particular. For instance, "Lord, today I will fast from coffee" or "Lord, today I will fast all day from television viewing". (He said this in a lovely Aussie accent). One thing he told us (my friends, family and me) was that the best way to fast in reparation for sins is on bread and water. Note: This prayer is by Venerable Fr. 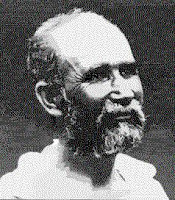 Charles de Foucauld. His life story is so sad. He worked so hard to have others join his order but he never succeeded. I am glad he is rejoicing in Heaven now. Happy Birthday to my niece Talia! I am overjoyed to be able to offer this to all of you on this marvelous Feast of the Assumption of the Blessed Virgin Mary! Please read the following through and pray about how you can help to spread this message in your own areas on the dignity and vocation of women, spoken of so beautifully by our late Pope John the Great. Take a look at the website which is in the process of being built, and use it as a resource. Please take time to read the Apostolic Letter so that you will become more familiar with the riches and wisdom it holds for us. This is a mighty celebration that will resound throughout the entire world all throughout 2008, the twentieth year anniversary of this amazing Apostolic Letter, Mulieris Dignitatem! Although, I have not yet started to read the apostolic letter, I will be doing so and I encourage you to not only read it, but also look at the resources offered for forming discussion groups, etc. Mother Teresa a Canonized Saint this Year? That is what Zenit is reporting. CALCUTTA, India, AUG. 23, 2007 (Zenit.org).- This is the year for the canonization of Blessed Teresa of Calcutta, or so hopes a group of Catholics in Calcutta. The Catholic Association of Bengal, the largest lay organization of the Archdiocese of Calcutta, has declared 2007 the Year for the Canonization of Mother Teresa, AsiaNews reported. While living in Philadelphia, I met this really nice young OB/GYN doctor and we fell in “love.” A few weeks later I was pregnant and he wanted nothing to do with either of us and wanted me to abort his child, saying it “would ruin his life.” As a single girl with no other person to turn to, I agreed. Conversation with Christ: Jesus, thank you for inviting me to share in your divine life as one of your very own. I thank you for becoming one like me so that I could become one with you. Grant that I may always treasure this great gift of faith, which you freely offer to me for my own good. Help me to spread the good news and lead all those souls that you have entrusted to me to their heavenly homeland. 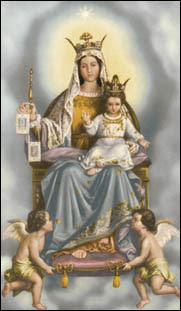 AD CAELI REGINAM is the encyclical of Pope Pius XII on proclaiming the Queenship of the Blessed Mother. Our Sentiments Exactly - "I Was Robbed"
As Catholic Baby Boomers growing up in the 70's, my husband and I often felt like we were cheated. It is interesting that a Generation X-er would feel like this too. We attended the guitar folk Masses, where they sang catchy little tunes like "I Am the Resurrection". My husband never learned about devotions such as praying the Daily Rosary, Adoration or Holy Hours, the Divine Mercy Chaplet (well that came later so that is understandable), etc. I remember attending CCD classes but I don't remember using the Baltimore Catechism. I'm almost positive we did not. The saddest memories were of our favorite priests, and leaving the priesthood to be married. We grew up in two different states yet we still had similar experiences. In fact, if it weren't for our respective parents, I really don't know if we would have remained faithful Catholics. Anyway, I am glad I found this post again. I found it when it was first posted and then I lost it. Mahalo Lynne! Whatever I shall have to do or suffer in this miserable life, I intend that it be proof of love for my God, so that living, I shall live only to love, and dying, I may die in order to love still more. On June 2, 1835, Guiseppe Melchiorre Sarto saw the light of earth at Riesi, Province of Treviso in Venice, and on August 20, 1914 he saw the light of heaven. Much of the life of St. Pius X was spent in teaching the Christian youth. His personal humanity and warmth endeared him to many. As Pope he found the pomp and splendor of the Vatican difficult to live with. 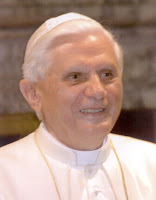 He is known for his special decree making it possible for children to receive the Eucharist at age 7, instead of waiting until their teen years as was the custom of the time. Near the end of his life, Pope Pius was very sad to see nations fighting against each other. Shortly after the first Great War broke out, Pope Pius X died. On May 29, 1954, he became the 259th saint and was canonized St. Pius X. Also, Mark of Exurge Domine has a related post about Pope Pius X and the oath against modernism. 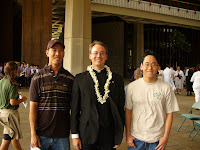 Happy Feast Day to Our Co-Parish of St. Pius X in Manoa. Trained by Vatican exorcist Gabriele Amorth, Father Jose Antonio Fortea is not only an exorcist, but also a writer, calligrapher and parish priest. He once thought he would lead what he has termed ordinary life as an attorney in Madrid, much as his father did before him, but sensed instead a vocation to the priesthood in his adolescent years. MB: What difference is there between a possessed person and a sinner who receives Holy Communion even when he is not well disposed? Are there cases when an ill-disposed person can or should communicate? FORTEA: The difference lies in that a sinner has besmirched his soul. 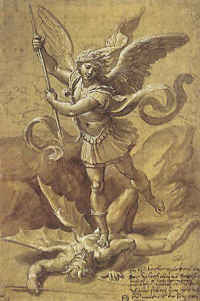 A possessed person may have a demon’s chains about his body, but his soul may be clean. One must never communicate without having a clean soul. We must strive to purify our souls when we receive Jesus. Even in the final moments, in the queue of people who will receive communion, we can purify our souls a little more by making acts of repentance. People who communicate without having confessed grave sins are not conscious of what they receive. If they were, they would not do so. I shall live and die for the sake of my faith and religion. I take pride in the Cross of my God and Lord.